After the disciplinary hearing, a college student at Florida Statute University (FSU) or Florida A&M University (FAMU) can appeal a final decision imposing disciplinary sanctions against the student for the violation of FSU’s Student Code of Conduct by filing a petition for writ of certiorari. When a college or graduate student is accused of a criminal act or violation of the student code of conduct, it is important to hire an attorney who can handle both the criminal charges and the disciplinary hearing. It is also important that the attorney knows who to conduct the hearing, protect the student’s right to due process and preserve issues for an appeal. If your client is facing a disciplinary hearing and sanctions after an allegation of misconduct by a Florida University in Tallahassee, Leon County or the surrounding areas in the Florida Panhandle, then contact an experienced criminal defense attorney for college students at Pumphrey Law. Call (850) 681-7777 today for a consultation. the student was not given an opportunity to question the witnesses against him. For decisions made at Florida Statute University (FSU) or Florida A&M University (FAMU), the final decision is reviewable by certiorari in the appropriate circuit court in Leon County, FL, because in making a final determination regarding disciplinary proceedings against a student, the university was acting pursuant to its authority under Article IX, section 7(d) of the Florida Constitution and not as an “agency” as defined by the Administrative Procedure Act. See Rivera v. Univ. of S. Fla. St. Petersburg, 176 So.3d 363 (Fla. 2d DCA 2015); Decker v. Univ. of W. Fla., 85 So.3d 571 (Fla. 1st DCA 2012); Louis v. Univ. of S. Florida, 181 So. 3d 578, 579 (Fla. Dist. Ct. App. 2016). Under Florida’s Administrative Procedure Act (APA), a party adversely affected by a final agency action is entitled to judicial review. § 120.68(1), Fla. Stat. (2008). Both FSU and FAMA are state universities under section 1000.21(6)(c), Florida Statutes (2008). The courts recognize state universities as agencies subject to the provisions of the APA. See Matar v. Fla. Int’l Univ., 944 So.2d 1153 (Fla. 3d DCA 2006); Morfit v. Univ. of S. Fla., 794 So.2d 655 (Fla. 2d DCA 2001). Therefore, a state university is a state agency subject to the provisions of the APA. It must afford the student a hearing before it expelled the student. If a college acts without first holding a hearing, and the validity of that action depends on disputed facts, the district court must reverse. § 120.68(7)(a), Fla. Stat. (2008); McIntyre v. Seminole County Sch. Bd., 779 So.2d 639, 641 (Fla. 5th DCA 2001). Students are also entitled to proper notice of the hearing. Florida universities and colleges are required to adopt rules to ensure due process and fairness in student disciplinary matters. Matar, 944 So.2d at 1157 (citing Fla. Admin. Code. Ann. R. 6C–6.0105); Morfit, 794 So.2d at 656. (a) The student shall be provided with written notice of the charges against him or her in sufficient detail and in sufficient time to prepare for a hearing before an appropriate committee, panel, or court, as established by each university, or before the appropriate university official or officials. Fla. Admin. Code Ann. R. 6C–6.0105(6)(a). In many of these appeals, the student alleges that the state university denied the student of a meaningful statutory right to a hearing under section 120.68(7)(a), Florida Statutes. The student also has a right to notice of the hearing under section 6C–6.0105(6)(a), Florida Administrative Code. Morris v. Florida Agric. & Mech. Univ., 23 So. 3d 167 (Fla. Dist. Ct. App. 2009). 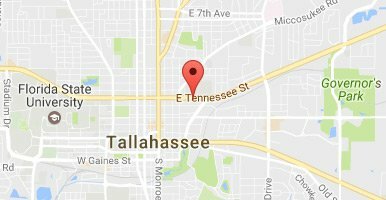 If you are a student facing a disciplinary action at your University, then contact an experienced criminal defense attorney at the Pumphrey Law who can help you avoid any sanctions or represent you at a disciplinary hearing in Tallahassee, Leon County, or the surrounding areas in North Florida. Call (850) 681-7777 today to discuss your case and schedule your free consultation with an attorney. We can begin your defense today.